Most interviewees do not know that their hirer is equally stressed about the interview as well. Hiring the right candidate for the job is always a concern for interviewers. 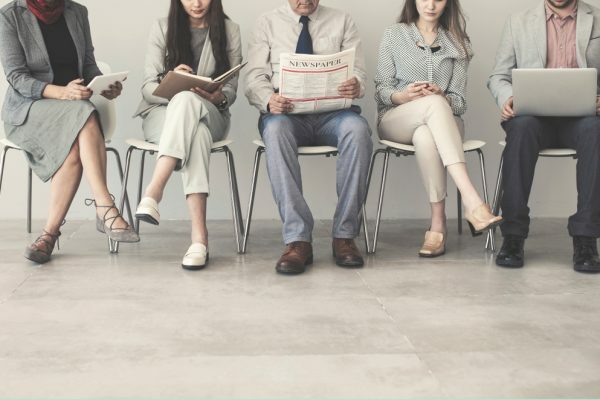 In this article, books on interview tips for handling new hirers, methods to craft appropriate interview questions, and how to grade possible new hires and more will be covered. If you are a recruiter with an aim to improve the candidate selection process for your team, read on. Hoevermeyer gives recruiters 701 interview questions that are specifically targeted at the candidate’s behavior to get past rehearsed or well-prepared replies. Such Competency-Based Behavioural Inteviewing (CBBI) can help the hirer gain deep insights into the employee as an individual. Not only that, the technique also reduces the likelihood of personal impressions and biases to enable subjectivity in the evaluation. Prevent making erroneous hiring decisions by eliciting real-world examples of relevant behaviours and experiences from your interviewee instead of coming up with hypothetical scenario and getting hypothetical answers. If the 701 questions are not to your liking, you can even tweak them and match it to 62 in-demand skills like customer focus initiative, adaptability, motivation, and teamwork just to name a few. High Velocity Hiring provides a thoroughly detailed 6 step Talent Accelerator Process to help your company set up a ready talent pool. Instead of unnecessarily lengthy and arduous rounds of interviews, tips on analyzing personalities, accessing honesty and checking for integrity are explored. In today’s rapid paced and talent deficient landscape, this book’s focus on efficacy and hiring right from the very first time is most relevant. Top talents are often snagged up quickly by more efficient and forward-thinking companies, so stay in the game by learning about tips on planning, foresight, decisive action and alertness from Wintrip. With time, you can enrich and maintain a steady flow of high-quality candidates who are ready to be hired. This book leans towards hiring technical persons, but its principles are applicable to a wide variety of job functions across numerous industries. A simple recruitment strategy may be the best strategy in hiring employees with the right skill set and culture fit. The complex recruitment procedure is broken down into its key components such as preparation, sourcing, interviewing, offering and more. Look forward to a library of helpful resources such as job analysis worksheets, job advertisement and description templates and reference check scripts. This book is great for new hirers who aspire to be leaders in their field. The book is an intricate blend of research on levels of work as well as the discipline of behavioural interviewing. It centers on four key hiring stages and talks about the differing levels of work theory and behavioral interviewing to better assess the candidates’ skill, capacity, capability, passion, personality and more. Being prepared prior to the interview is stressed throughout the book to avoid biases and stereotypes based on incomplete data. The framework used can be cross-applied to a large pool of interview types. With 90% of all business problems being hiring problems in disguise, it is no wonder that getting the best to fill up job vacancies is a priority of many firms. In line with that, try reading Jeff Hyman’s Recruit Rockstars: The 10 Step Playbook to Find the Winners and Ignite Your Business. It goes into the nitty gritty details of interviews such as the number of interviews, selecting appropriate and targeted predictive questions, choosing someone with the right culture fit, and more. The Best Team Wins provides a blueprint to guide you through a seamless and structured hiring journey- something that over 90% of the companies do not have. Crafting a winning job to reduce hiring risks and predict success offer involves several components such as a using data-driven job profiles to assess candidate risk, setting appropriate interview questions for in-depth responses, crafting a targeted candidate scorecard, rating the candidate’s core competencies, and more. By setting up the right process, the company can receive higher quality hires, lower turnover rates, increased job satisfaction levels and lower administrative costs. By eliminating guesswork in the hiring process, the bottom line will also be improved. Robinson consolidates his twenty years of experience to educate readers on tips to make recruitment a source of sustainable competitive advantage. The author challenges the reader to rethink the hiring process, and gives straightforward, proven and effective methods for hiring. Smart highlights multiple techniques to check the eligibility of candidates. These are not limited to The Threat of Reference Check (TORC) and Topgrading Snapshot. There is a comprehensive and easily digestible 12 step recruitment process to help hirers weed discrepancies in information provision by candidates in resumes and interviews to prevent mis-hires at early stages. Not only does the book help hirers channel their effort in better candidates, it also lays a roadmap filled with smart ways of verifying credentials. Readers can also learn how to screen candidates on 50 competencies to be segregated into A, B, and C levels. If you would like to hear 45 effective recruiting strategies from a psychiatrist, try Pierre Mornell’s Hiring Smart! : How to Predict Winners and Losers in the Incredibly Expensive. As a recruiter, being prepared and customizing each interview according to the job profile is crucial. Taking note of requirement changes in various industries and job fields can help you come up with the best hiring practices that will ultimately increase firm performance. Stock up on some books and start sharing them with fellow hirers today!